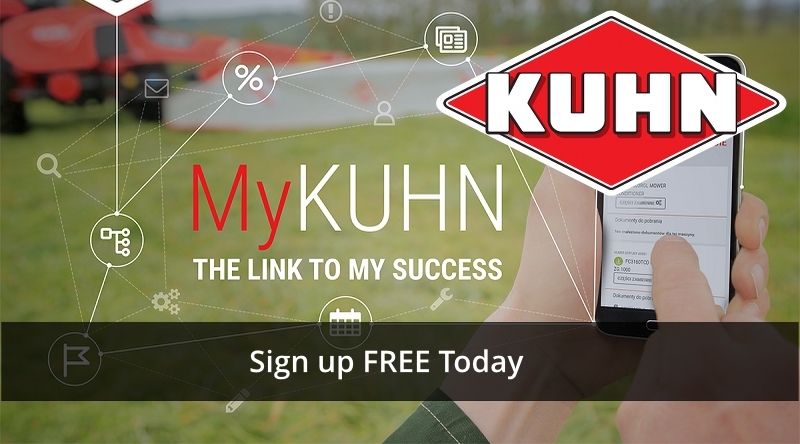 New MyKUHN Online Customer Portal. Free access to operators manuals, parts lists and more. Exclusive special offers on Kuhn financing, parts and machines. Expert advice and information providing agronomic and technical advice to get the best out of your Kuhn machine. Manage your fleet and get machine support by registering your machine serial numbers to receive quick access to parts lists and operator manuals. Operator manuals can be downloaded as a PDF to your device or be printed. Create a shopping basket from the parts e-catalog and collect from us. All of this is free and available on any device, so register for the MyKUHN Online Customer Portal today or contact us for more information.